The SWPP Board of Advisors is composed of recognized call center industry leaders and workforce planning experts. This group provides leadership for SWPP and directs many of its activities. Kirwyn Adderley has over 20+ years of operations and workforce management experience. 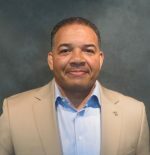 He currently serves as the National Director of Workforce Management for Walgreens Centralized Services Site Operations Retail Central Operations. Kirwyn was the recipient of the 2014 Society of Workforce Planning Professionals (SWPP) Workforce Management Professional of the Year award. Based in Tulsa, OK, Debbie is the Director of Customer Service Support for ONE Gas, which oversees the functions within Customer Service related to Training, Quality, Workforce Management, Reporting, Planning, and Systems Administration. Previously with Trase Miller Technologies as Managing Director of Operations for 22 years. She led a 24 x 7 x 365 technology infrastructure team supporting workforce management, real-time operations, IT, telephony, quality assurance and tour system platforms. Debbie has been a member of the SWPP board for 13 years. She holds a certification for ccSigma Yellow Belt for contact centers. Based in the DC area, Drex is a Workforce Management professional with more than 16 years of multi-site/multi-channel/multi-lingual contact center experience encompassing forecasting, analysis, reporting, staffing, and performance management. He has strong analytical, leadership, and collaboration skills with proven results in strategy implementation and workforce management methodologies in both small and large scale contact centers. Jessica Harris is Workforce Manager for Safe Auto. She has over 20 years career experience, specializing in workforce optimization, outsourcing, technology modernization, project management, data analytics and business continuity. She was a finalist for the 2017 SWPP Workforce Management Professional of the Year. Kristi Holcombe is Sr. Director of Workforce Management for Travelers. She has over 25 years of contact center experience in a variety of industries: travel, warranty, and shipping. Her experience includes Operations, Intraday Management, Scheduling, Forecasting, Call Routing, Reporting and Analytics. Kristi has over 15 years of Workforce Management experience and is a Certified Workforce Planning Professional (CWPP). Victoria Marcella has over 19 years of workforce management, leadership and contact center experience in multiple industries which include captive auto financing, catalog-retail sales, and BPO. Victoria was a finalist for the 2010 SWPP Workforce Management Professional of the Year. Known for her strong leadership and talent development skills in WFM, her proudest moments have been her contributions to Diversity in the Workplace, being a leader in the corporate and local Diversity Councils and DRIVE Alliance Employee Resource Group. Mark Rhodes is currently the Senior Department Leader for Work Planning at Edward Jones. Prior to that he spent 13 years at Progressive Insurance where he held several different positions as a Workforce Management leader in the Claims and Service divisions. Mark has over 20 years of leadership and Workforce Management experience in Fortune 500 companies, and has a passion for automation and efficiency. Mark has a Bachelor of Arts degree in History from Miami University (Ohio) and is a Class “A” certified martial arts instructor in Kajukenpo Karate. 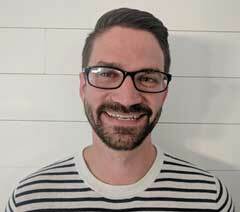 Matt Troxell began his Costco career in the Bakery of a warehouse in Parker, CO. After several years in the warehouse, he decided to expand his knowledge by moving to the Costco Member Service Center (aka Call Center) in Issaquah, WA. Becoming the very first manager of Workforce Management for the Costco call center in the beginning of 2016, Matt was able to reach out to other industry WFM leaders through the assistance of SWPP and help build a successful program for Costco. Dan has been in the call center space for over 15 years and focusing on WFM for more than 10 years. He works for World Travel Holdings as their Director of Workforce Management and Analytics out of his home in the Charleston, SC area. He started his career on the phones at a dial-up internet company and has held a variety of positions focusing mostly on the intersection of WFM, telecom, and analytics. He is passionate about helping others and uses his knowledge of WFM, employee engagement, analytics, and leadership to benefit his agents, company, and customers. Louise Andrew, CWPP, has been with AccorHotels (formerly FRHI Hotels & Resorts) since the opening of its Global Reservation Centre in Moncton, New Brunswick (Canada) in 1995. As Director, Workforce Planning, Louise brings over 20 years of Workforce Management expertise. She is a member of the centre’s Executive Leadership Team and oversees the Workforce Planning function which includes short term, long term as well as strategic planning. Louise sits on the SWPP Board of Advisors and is a member of the Intradiem Customer Advisory Council. She is also the Local Leader for the Atlantic Canada Chapter of the Aspect User Group and the President of the Genesys Decisions User Group. Jeff is currently serving as a Workforce Management Analyst III with Navy Federal Credit Union. He has 12 Years Workforce Management Experience and seven Years Experience with Staff Planning/Annual Financial Planning working on Contact Center WFM, Branch Operations WFM, and Collections WFM teams. He has presented over a dozen sessions at eight different conferences. Jeff was a 2013 Finalist for SWPP’s Workforce Planning Professional of the Year award and the 2017 Winner of Verint’s Engage Global Customer Awards for Optimizing the Workforce. He holds a BS in Management from The Florida State University. Robert (Bob) Dobson is the Head of Global Workforce Management for StubHub, previously with InterContinental Hotels Group (IHG) Reservations and Customer Care organization for 15+ years. The StubHub WFO Team supports 3 captive and 3 outsourced contact centers along with Work from Home experts for the Customer Experience team. Bob has been a member of the SWPP board for two year and was named the SWPP Workforce Management Professional of the Year in 2012. Bob currently leads the Global Workforce Managements teams at StubHub supporting Planning, Scheduling, Real Time Call and Staff Management, Business Continuity, and WFO Reporting and Analytics. As VP – US Operations for Planmen Consultancy, LLC, Todd specializes in the areas of Learning/Development, Workforce Management Operations and Contact Center Operational Process Consulting. With 40 years of experience, holding managerial and executive positions in the Telecom, Utility and Contact Center industry, he brings a wealth of knowledge in developing linkages between business strategies, workforce operational processes and leadership skills in learning/development. Todd has consulted with companies across the globe, working with businesses to identify operational, workforce management process, human resource and training opportunities where significant productivity gains can be realized. He is a regular speaker at industry conferences, has published articles in trade journals and conducts seminars as an industry expert. He is a Certified Workforce Planning Professional (CWPP) and a charter member of the Board of Advisors for the International Society of Workforce Planning Professionals (SWPP) and The Quality Assurance and Training Connection (QATC). 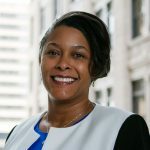 Kim Henderson is the Senior Director, Financial Services & Workforce Optimization for Bluegreen Vacations, and has over 20 years of experience in the Contact Center industry, with leadership roles that drive optimization in customer-focused service organizations. She has demonstrated performance in being an analytical visionary and deliberative leader by driving growth in areas of revenues, staffing efficiencies and strategic technology implementations. Kim’s successes have been acknowledged within several professional affiliations and recognized by international business awards. She shares her best practices in leadership, workforce management and analytics by speaking at regional and national industry conferences, as well as participating as a judge for several best-in-class recognition awards. Kim received the 2007 SWPP Workforce Management Professional of the Year award. With a background inclusive of training, workforce management, business process, and coaching, Marshall understands what it is like to work in each part of the WFO spectrum. He has worked in contact centers and back office support teams, across varied industries including telecommunications, tech support, insurance, HR support services, and healthcare services. 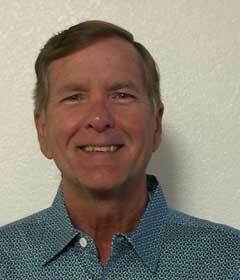 Marshall has been a speaker and published contributor for ICMI, SWPP, QATC, and CRMXchange. He has previously supported contact centers ranging in size from 20-3000, serving at the Charitable Resource Foundation, Charter Communications, SHPS, Carewise Health and ADP. He is currently Global Director for WFM Payer, at Firstsource Solutions; he serves on the Board of Advisors for the Quality Assurance and Training Connection and the Society of Workforce Planning Professionals. Sandra is currently the Sr. Manager, Workforce Optimization with Nissan with responsibility for Workforce Management and Quality Monitoring. Sandra has over 25 years of experience in contact centers and workforce management in a variety of industries including; hospitality, finance, healthcare, insurance, and technology. 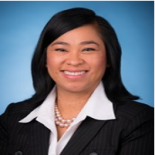 Sandra has participated as a panelist or speaker at numerous contact center events over the years. Sandra holds a Bachelor’s of Business Administration from Dallas Baptist University, a Master’s of Business Administration from University of Phoenix and is a Certified Workforce Planning Professional (CWPP). Sandra received the SWPP Workforce Management Professional of the Year award in 2005. Rick Seeley is Senior Manager, WFM, for Convergys Corporation. He has 29 years of WFM experience, and is a published writer on WFM and call center subjects. He is a member of the Board of Directors for the NICE User Group (NUG). Andy Wainwright is the Director of Business Intellgence Shared Services for Toyota Financial Services (TFS) responsible for enhancing data and analytics capabilities for Toyota’s captive finance companies around the globe. Andy’s passion for data and analytics stems from 20+ years of financial services contact center experience and his deep roots in the Workforce Management space. 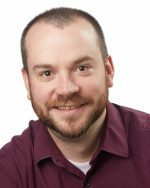 A popular speaker on WFM and Business Process Outsourcing (BPO), Andy is deeply committed to process improvement, is Six Sigma Black belt trained and proud of his Kaizen Coach certification(s). As a graduate of the British Royal Naval Academy, his educational background and military experience did nothing to prepare him for an exciting life in contact center WFM. Don has over 15 years experience with various organizations in the area of Workforce Management and Planning. He is recognized as an innovative leader who is not afraid to take risks and push forward with new techniques and automation which benefit the organization in both WFM efficiency and improved work/life balance for call center representatives. In his current role as Manager – Workforce Management at Blue Shield of California he has built and leads a high performing team of very well qualified Workforce Management professionals who are viewed as “value-add” assets to the company and those they support. In addition to his Workforce Management experience he has held various leadership roles in Telecom, Sales and IT. These experiences have contributed to his overall view and philosophy of how best to support the call centers and provide the best possible experience to the customer within whatever staffing constraints may exist. Don holds a MBA from Webster University in St Louis and a BA in Business Administration from Columbia College in Columbia Missouri. As you can see, he is a midwest transplant to California. He lives with his wife in the Sacramento area and enjoys the wonderful opportunities to enjoy the close proximity of the Sierra Nevada Mountains, Pacific shore and the giant Sequoias and Redwoods.